BC LIONS EXP is one of the most innovative sports apps available, featuring all the information sports fans want and need and including amazing virtual reality and augmented reality experiences. 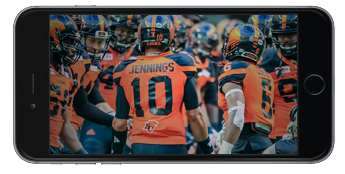 This innovative app takes the passionate football fan’s experience with the BC Lions to a whole new level of engagement with a blend of Augmented Reality Quests and immersive 360° VR Experiences. Watch the BC Lions Drone fly to your seat to drop off an experience of a lifetime!